I vividly remember the first time I saw this bathroom in a magazine over a decade ago. The clean lines and simple palette of the horizontal stripes made a strong, graphic impact with out resorting to any design cliches. That was the first time I realized in my wanna be designer's mind that simpler was better, and you can't get any simpler than stripes. Thus began my love affair with horizontal stripes. 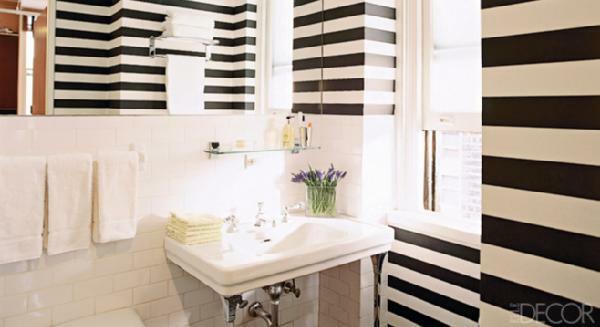 These jack-of-all-trade stripes work in any decor ranging from sweet nurseries to modern living rooms. Small tweaks in width, color and scale create a wide range of tone and mood workable in any room. 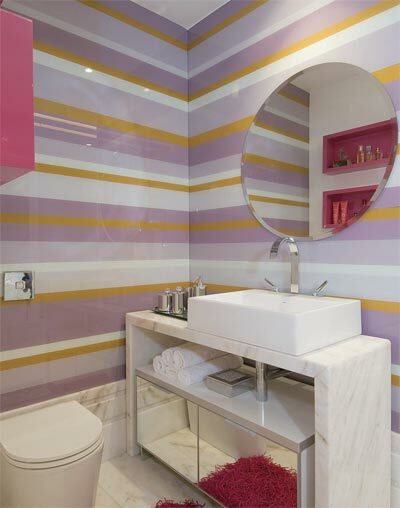 Wide, variegated stripes impart vibrant energy in this modern room. Contrasting stripes create a glamorous vibe in the foyer. Tonal stripes set a quieter mood in this boy's bedroom. 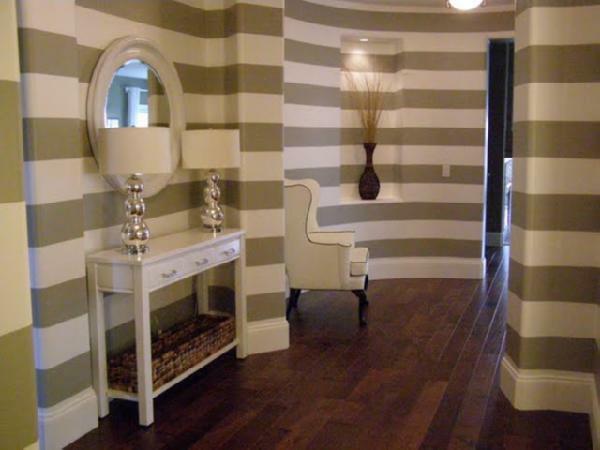 These stripes remind me of an an upscale boutique. I wish I did this in my bathroom.